Market Has “Given Up” On Silver, So What’s Next? The silver market has been “stagnating” and needs renewed investor interest before prices recover and the gold-silver ratio drops below 80, said David Morgan editor of The Morgan Report. “What’s going on is stagnation in the market. There hasn’t been any fresh buying, there’s been a lot of stale longs that have given up on the silver story,” Morgan said. On supply and demand fundamentals, Morgan noted that due to low silver prices, the mining level has subsided but above-ground stockpiles of silver have increased. _________________________________________________________________ Kitco News is the world’s #1 source of metals market information. Our videos feature interviews with prominent industry figures to bring you market-affecting insights, with the goal of helping people make informed investment decisions. Subscribe to our channel to stay up to date on the latest insights moving the metals markets. For more breaking news, visit http://www.kitco.com/ Follow us on social media: Facebook - https://www.facebook.com/KitcoNews/?ref=br_rs Twitter - https://twitter.com/kitconewsnow Google+: https://plus.google.com/u/0/116266490328854474588 StockTwits - https://stocktwits.com/kitconews Live gold price and charts: http://www.kitco.com/gold-price-today-usa/ Live silver price and charts: http://www.kitco.com/silver-price-today-usa/ Don’t forget to sign up for Kitco News’ Weekly Roundup – comes out every Friday to recap the hottest stories & videos of the week: https://connect.kitco.com/subscription/newsletter.html Join the conversation @ The Kitco Forums and be part of the premier online community for precious metals investors: https://gold-forum.kitco.com/ Disclaimer: Videos are not trading advice and the views expressed may not reflect those of Kitco Metals Inc. 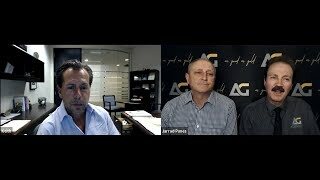 In this rare and informative discussion, Brian and Darryl Panes from As Good As Gold Australia interview none other than the Founder and CEO of First Majestic Silver Corp, Keith Neumeyer, heading one of the biggest mining operations in the world. Keith shares his story and views on where the mining industry is heading in these very volatile and indeed fragile economic times. Are we to see triple digit silver prices and will governments ever learn by the errors of their ways? How important are the emerging markets to the viability and overall structure of our economic existence? It's all here in this absorbing interview. My good friend and collaborator on the G.E.B.B. 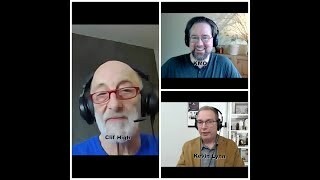 https://gebb.io comic strip, KMO joined me to do an interview with the brilliant, enigmatic, and always interesting, Clif High who sat with us for an interview that took on the form of a grand exploration that led us down many a rabbit hole in search of an appropriate topic. As a result, the title of this interview is simply "All Things Woo Woo." After watching it, I am sure you will agree that we covered a lot of ground and this was an amazing 90 minutes. You can view our latest comic strip as well as view prior at www.gebb.io And of course, you can visit www.cfpup.org for our latest blogs on just about everything. Lastly, if you enjoyed this video, please give us a thumbs up and even subscribe to our channel. Expected first August 6 spike never arrived... CHANGES NOTHING! 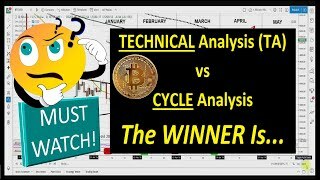 Next comes an AUGUST 2018 FINAL CYCLE 'NEW' LOW & BOTTOM! Then a spike in September. DANGER IN AUGUST!!! 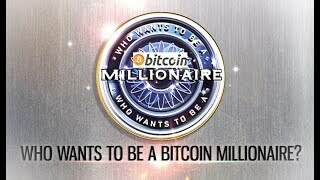 Bitcoin MILLIONAIRE... BEFORE the END of Q1, 2019? For all the details get our Bitcoin INDEX (LINK): https://www.gold2020forecast.com/cryptocurrency-index Washington D.C. Conference Date was July 26, 2018 LEGAL & DISCLAIMER: The above represents the opinion and analysis of Mr. Polny, based on data available to him, at the time of writing. Mr. Polny's opinions are his own, and are not a recommendation or an offer to buy or sell securities, commodities and/or cryptocurrencies. Mr. Polny is an independent analyst who receives no compensation of any kind from any groups, individuals or corporations. As trading and investing in any financial markets may involve serious risk of loss, Mr. Polny recommends that you consult with a qualified investment advisor, one licensed by appropriate regulatory agencies in your legal jurisdiction and do your own due diligence and research when making any kind of a transaction with financial ramifications. Although an experienced analyst, Mr. Polny is not a Registered Securities Advisor. Therefore Mr. Polny’s opinions on the markets, stocks and commodities are his own and can not be construed as a solicitation to buy and sell securities, commodities and/or cryptocurrencies. Macroeconomic forces have positioned gold in a similar pattern as 2015, when the yellow metal traded range-bound before rallying, said Amir Adnani, CEO of Uranium Energy Corp. and chairman of GoldMining Inc. “The setup today for gold reminds me very much of the setup in late 2015, and we all know the spectacular run that we had in the gold market in 2016,” Adnani told Kitco News on the sidelines of the Silver & Gold Summit in San Francisco. _________________________________________________________________ Kitco News is the world’s #1 source of metals market information. Our videos feature interviews with prominent industry figures to bring you market-affecting insights, with the goal of helping people make informed investment decisions. Subscribe to our channel to stay up to date on the latest insights moving the metals markets. For more breaking news, visit http://www.kitco.com/ Follow us on social media: Facebook - https://www.facebook.com/KitcoNews/?ref=br_rs Twitter - https://twitter.com/kitconewsnow Google+: https://plus.google.com/u/0/116266490328854474588 StockTwits - https://stocktwits.com/kitconews Live gold price and charts: http://www.kitco.com/gold-price-today-usa/ Live silver price and charts: http://www.kitco.com/silver-price-today-usa/ Don’t forget to sign up for Kitco News’ Weekly Roundup – comes out every Friday to recap the hottest stories & videos of the week: https://connect.kitco.com/subscription/newsletter.html Join the conversation @ The Kitco Forums and be part of the premier online community for precious metals investors: https://gold-forum.kitco.com/ Disclaimer: Videos are not trading advice and the views expressed may not reflect those of Kitco Metals Inc.
How can you profit from gold and silver stocks? 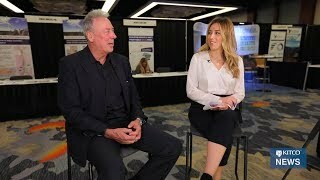 Watch as Jeffrey Christian, Managing Director at the CPM Group, discusses how investors can grow their portfolio with precious metals and mining shares. Join us at an upcoming event! http://www.cambridgehouse.com Stay Connected! http://www.cambridgehouse.com/ https://twitter.com/cambridge https://www.facebook.com/cambridgehouseconferences Copyright © 2018 Cambridge House International Inc. All rights reserved. Based on supply and demand fundamentals, there is currently a deficit in the silver market, said Keith Neumeyer, CEO of First Majestic Silver. “First Majestic is a member of the Silver Institute, and the Silver Institute does publish annual numbers, and these annual numbers show that the miners, globally, have produced 800 million ounces of silver in 2017, and the same report shows that there’s a billion ounces of consumption. 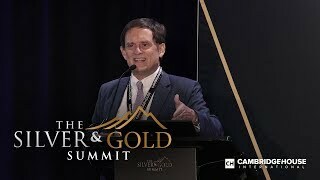 So that tells me there’s a 200 million ounce deficit,” Neumeyer told Kitco News on the sidelines of the Silver & Gold Summit in San Francisco. _________________________________________________________________ Kitco News is the world’s #1 source of metals market information. Our videos feature interviews with prominent industry figures to bring you market-affecting insights, with the goal of helping people make informed investment decisions. Subscribe to our channel to stay up to date on the latest insights moving the metals markets. For more breaking news, visit http://www.kitco.com/ Follow us on social media: Facebook - https://www.facebook.com/KitcoNews/?ref=br_rs Twitter - https://twitter.com/kitconewsnow Google+: https://plus.google.com/u/0/116266490328854474588 StockTwits - https://stocktwits.com/kitconews Live gold price and charts: http://www.kitco.com/gold-price-today-usa/ Live silver price and charts: http://www.kitco.com/silver-price-today-usa/ Don’t forget to sign up for Kitco News’ Weekly Roundup – comes out every Friday to recap the hottest stories & videos of the week: https://connect.kitco.com/subscription/newsletter.html Join the conversation @ The Kitco Forums and be part of the premier online community for precious metals investors: https://gold-forum.kitco.com/ Disclaimer: Videos are not trading advice and the views expressed may not reflect those of Kitco Metals Inc.
Can Bitcoin Reach 1 Million Dollars - Part 3 In this video I discuss Metcalfe's law & the macroeconomic properties of Bitcoin that make it hard money & a store of value. 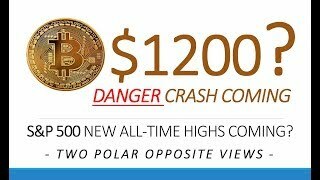 Bitcoin could well capture market cap of numerous other assets with inflated prices. 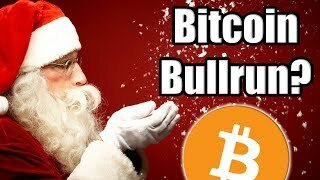 #Bitcoin #Money #Cryptocurrency Part 1: https://youtu.be/xNocNjbLxW0 Part 2: https://youtu.be/4-RXbfOo-F0 Own Cryptocurrency in your Self Managed Super Fund https://newbrightoncapital.com/nugget ("NUGGET" When completing the application) Firstly, thanks for watching I appreciate your support! 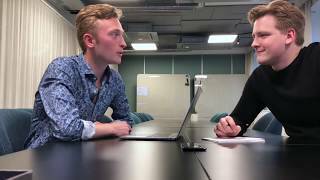 Please like, share and subscribe for more crypto news! 🎓 Join Nugget’s Crypto Community: https://nuggetsnews.com.au/nuggets-crypto-community/ 🎧 Nugget's Crypto Podcast Spotify: https://spoti.fi/2tGTfIb iTunes: https://apple.co/2lAGHyt 👫👭👬Socials Facebook: http://fb.me/NuggetsNews Twitter: https://twitter.com/NuggetsNewsAU LinkedIn: https://www.linkedin.com/company/NuggetsNews Instagram: http://instagram.com/NuggetsNewsAU Reddit: https://steemit.com/@NuggetsNews 📬 Nugget’s Weekly E-News: http://bit.ly/2MugCwj 📲 Contact Us: http://bit.ly/2tHKKwN 🇦🇺 Own Cryptocurrency in your Self Managed Super Fund https://newbrightoncapital.com/nugget ("NUGGET" When completing the application) 🇦🇺Australian Tax: https://cryptotaxaus.com.au/ Mention: 'Nugget's News' for discount. 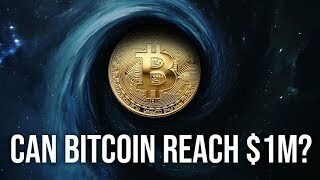 🏦 Need to purchase/sell large amounts of crypto? 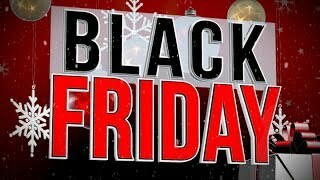 https://calebandbrown.com/ (Discount code: Nugget's News) 🎤 Hire me to Speak: https://www.linkedin.com/in/AlexSaundersAU/ 👕 Crypto Clothing: http://shrsl.com/nf7o 🔐 Secure your crypto Ledger: https://www.ledgerwallet.com/r/f536 Trezor: https://shop.trezor.io?a=esyfabvzr6zu Ecomi: https://securewallet.shop/products/secure-wallet (Discount Code: NUGGET) 🏦 Some of my favourite places to buy & trade coins: Coinspot: https://www.coinspot.com.au?affiliate=YNV53 Bitmex: https://www.bitmex.com/register/NFIXYP Coinbase: https://www.coinbase.com/join/54152b230bf6fa71dd000002 Binance: https://www.binance.com/?ref=10788816 KuCoin: https://www.kucoin.com/#/?r=188MQ Huobi: https://www.huobi.com.au/invite-success?invite_code=j4223 BiBox: https://www.bibox.com/signPage?id=11468551〈=en EthFinex: https://www.ethfinex.com/?refcode=FJfGA79ciH The Chart Guys: 🎓 Crypto Trading Course: Discount code: Nugget10 https://www.chartguys.com/courses/crypto/?ref=5 🎓 Crypto Alerts System: Discount code: NUGGY10 https://crypto.chartguys.com?af=539351d975 Trader Cobb: Advanced Trading Courses: Discount code: TCNUGGET10 🎓https://www.tradercobb.com/cryptocurrency-education-courses/ Disclaimer: I AM NOT A LICENSED FINANCIAL ADVISOR. MY VIEWS ARE GENERAL IN NATURE AND SHOULD NOT BE TAKEN AS FINANCIAL ADVICE. ALWAYS DO YOUR OWN RESEARCH BEFORE INVESTING ANY MONEY. 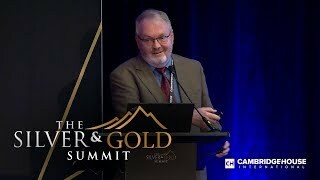 Watch as Jeff Clark (Senior Precious Metals Analyst at GoldSilver.com) discusses the impact the world economy has on gold and silver prices and gives his top stock picks. Join us at an upcoming event! http://www.cambridgehouse.com Stay Connected! http://www.cambridgehouse.com/ https://twitter.com/cambridge https://www.facebook.com/cambridgehouseconferences Copyright © 2018 Cambridge House International Inc. All rights reserved. End Federal Taxation of Gold and Silver!